4. The Fall "Fibre Book Troll"
5. To Rococo Rot "Miles An Hour"
10. Born In Flamez "Time Hurtz"
2. Schlachthofbronx feat. Buraka Som Sistema "Volumen"
5. Alex Banks "Be the One feat. Elizabeth Bernholz"
7. Henrik Schwarz "We Are Bankrupt"
8. Brandt Brauer Frick feat. 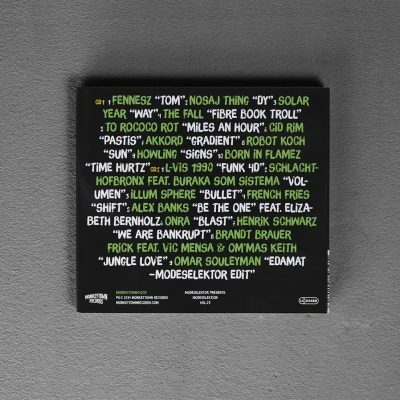 Vic Mensa & Om'Mas Keith "Jungle Love"
9. 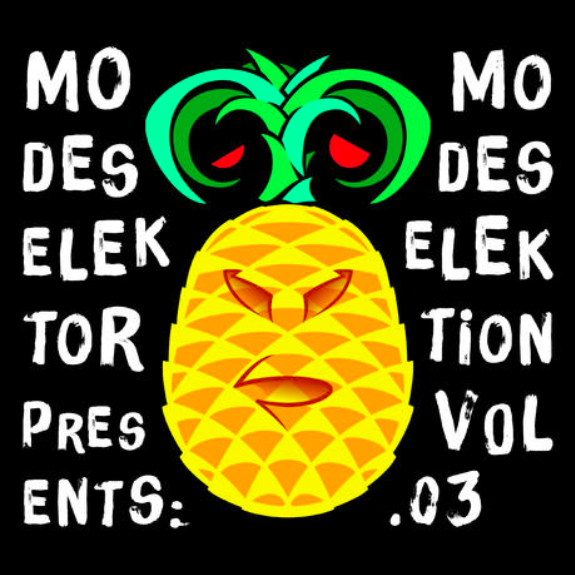 Omar Souleyman "Edamat / Modeselektor Edit"
B1: To Rococo Rot "Miles An Hour"
D2: Born In Flamez "Time Hurtz"
The latest buzzword making the rounds among the cultural cognoscenti: curation. And while we try to steer clear of hackneyed fads, this one almost slipped the net waxing lyrical about Modeselektor’s Modeselektion Vol. 03. 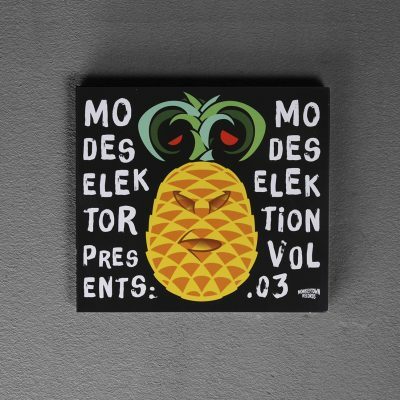 Dodging the tried-and-tested approach of calling a few mates, bagging some shelved tunes, slapping it all together and unleashing the result on the unsuspecting masses, this one is actually all about the art of selection. About careful consideration, motivation, choice, process – that is, a pretty elaborate labour of love that hides intense effort under free-flowing, seamless sounds that sneak up on the ears to broaden our collective horizon. 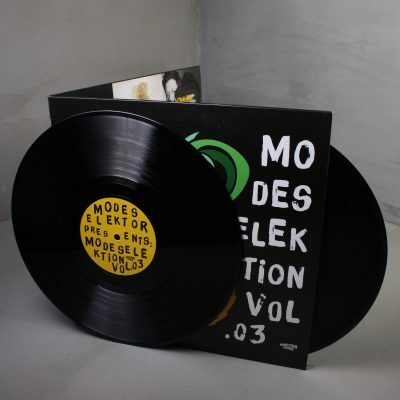 More Modeselektion insights: Any selection is only as great as the distance between its most diverse elements – the greater, the better – but only if the compilation manages to shrink this gap down to nothing in a flash, convincing us that the gloriously heterogeneous mix couldn’t be any more cohesive. Also, any selection improves exponentially with the number of surprises and discoveries. This might be a good time to drop two f-words. Starting with the opener: Fennesz! 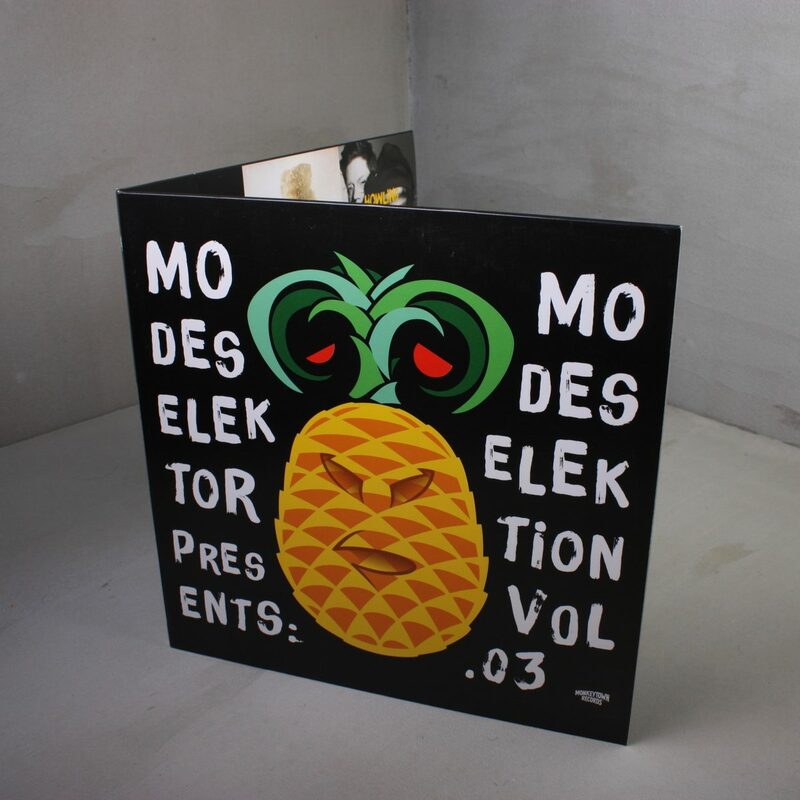 A paragon of sophisticated electronic sounds, the Viennese producer has narrowed the niche between guitar and laptop like no other and now opens Modeselektion Vol. 03 with our first proper surprise. Followed by … The Fall! Anyone who has had the privilege to enjoy the barking lyrics and blaring beats of Mark E. Smith and his band will appreciate a brand new discovery after thirty studio albums, another thirty live recordings and lashes of post punk (hi)story. Naturally, the art of selection is all about balancing these opposing poles in a way that makes it pretty much impossible – or at least entirely unfair – to pick out isolated highlights. But we’ll throw in a few teasers to whet your appetite. Generally speaking, this one is all about a little less in-your-face and a touch more schmaltz, but the usual dose of head and heart. Somewhere in the fray, Schlachthofbronx and Buraka Som Sistema enter into an unholy alliance with “Volumen”, so feel free to turn it up and toss out your copy of “Harlem Shake”! Or taste a true nobrainer and instant hit (“Be The One”), filling floors from boutique club to mega disco, by new Monkeytown signing Alex Banks, backed by singer Elizabeth Bernholz. Meanwhile Manchester’s Illum Sphere simply reinvents old school house with “Bullett” and Berlin trio To Rococo Rot finds kindred spirits, all the way across the playlist, in Berlin’s finest Brand Brauer Frick – both sharing a penchant for unleashing acoustic instruments on unsuspecting grooves. L-Vis 1990 and Onra whip up a storm with “Funk 4D” and “Blast”, two funk steamrollers with lashings of Back to the Future potential. Not to forget Henrik Schwarz and his sing-a-long dancefloor smash – a level-headed, yet elated declaration of bancruptcy, “we are bankrupt / just like everybody else.” Also part of the package: the sharpest drops, Berlin’s most mysterious acts, the most sizzling sounds from France – and the possibly best “go on, it’s time to leave” track in all of Modeselektion history: a crazy Syrian wedding party soundtrack by Omar Souleyman (in a Modeselektor edit). Up and at them, tiger! Before all good things come to an end, here are a few salient facts: Beyond the Souleyman edit, Modeselektion Vol. 03 does not feature any original tracks by our dynamic duo – there was already more than enough greatness to spread by old and new friends. 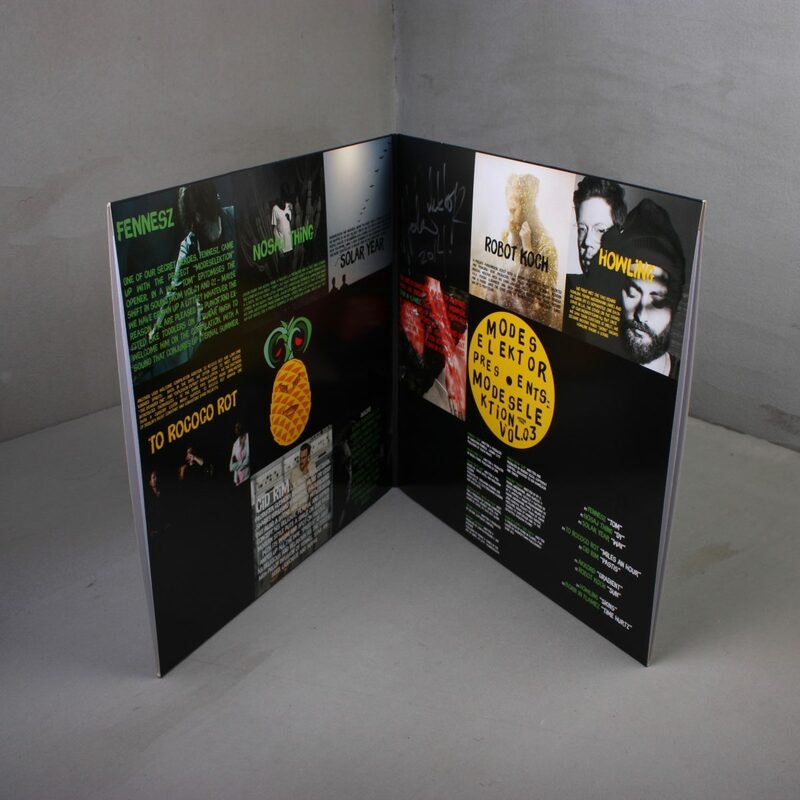 The whole sonic special is available as a double CD, a digital bundle and a slightly slimmed down double 12” plus two vinyl EPs. 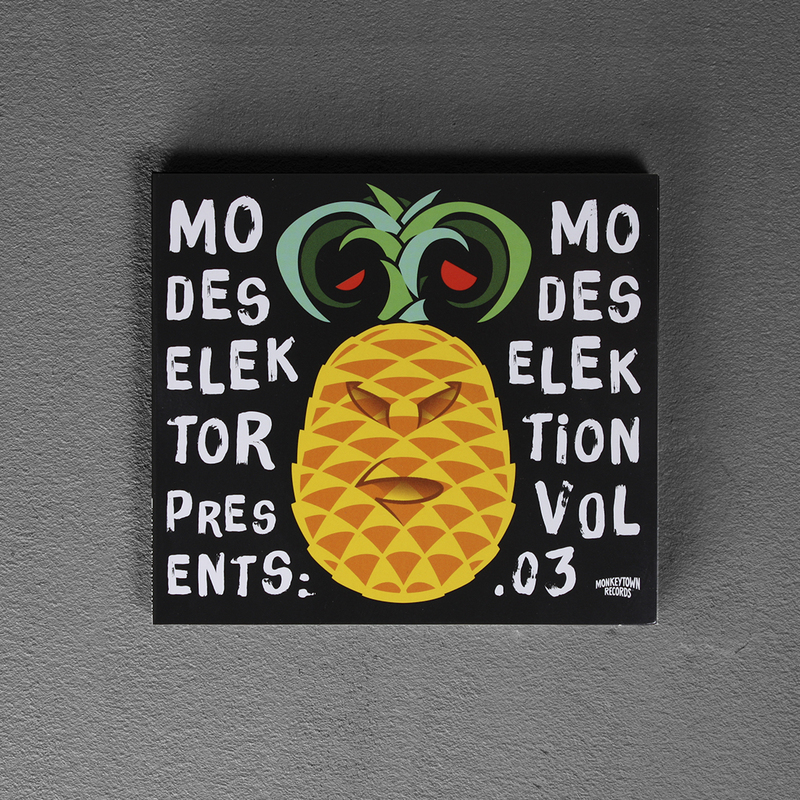 19 sweet treats from Modeselektor, guarded by an equally delectable pineapple monkey.